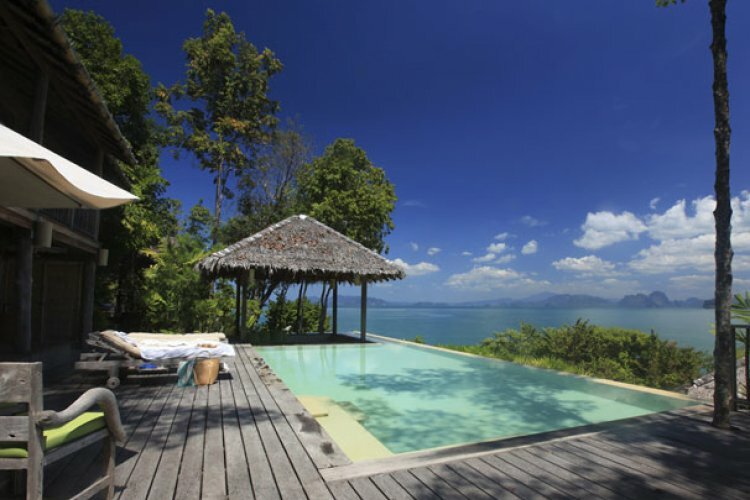 Located on the east coast of Koh Yao Noi, the 5 star Six Senses Yao Noi is set within breath-taking natural beauty and stunning views. Overlooking the calm emerald waters, this resort captures barefoot luxury whilst offering a personalised service complete with privacy . This is the ideal backdrop for couples looking for a relaxing escape or an unforgettable honeymoon experience. Koh Yao Noi is approximately 1 hour from Krabi and Phuket airport by road and by speedboat. Or how about arriving in true celebrity style via helicopter, which only takes 15 minutes? It won't be long before you are shown to your Pool Villa, Garden Pool Villa or Ocean Pool Villa. With 54 villas scattered around the resort, you can ensure complete tranquillity and privacy as you relax in 5 star luxury. Each villa features an iPod docking station, Bose sound system, espresso machine, in-villa wine cellar as well as an outdoor dining area by your infinity pool. There are 2 fantastic restaurants at the Six Senses Yao Noi which serve authentic Thai dishes as well as a great bar where you can enjoy thirst-quenching cocktails whatever time of day. Be sure to visit the stunning Six Senses Spa and treat yourself to a relaxing body or beauty treatment to leave you feeling fully refreshed and revitalised.